The BEST sample: Have us rewrite a portion of YOUR current resume at NO charge! E-mail us a copy of your current resume and we'll send you a FREE review and editing sample demonstrating how we'd transform it into a POWERFUL, job-winning document designed to facilitate YOUR desired career change! Be sure to include some information regarding your career change objectives. At Career-Change-Resumes.Com, we are SURE that our free feedback & suggestions will be more than enough to prove to you that hiring us is one of the BEST career-related investments you can possibly make. Click here to send us your current resume...Our professional writers will reply in 1 day or less! Career Change Resume Sample # 1 (Military to Civilian) - This resume was created for an individual who presented us with very specific information and uncertainty over how it could be applied to his desired career change. Career Change Resume Sample # 2 (Entrepreneur to Corporate/Finance) - This resume successfully handled a fairly common career change that requires a high degree of savoir-faire: Knowing how to take the history of someone who spent years working for herself as an entrepreneur...and make it attractive to prospective employers in the corporate world. © 1999- Career-Change-Resumes.Com. All content displayed on this site was designed or licensed by our company and may not be reproduced without our written consent. Free resume samples and evaluations are provided to prospective clients via email at NO charge. Every client is assigned a unique ID# for continuous access to our staff via telephone, email, or online service center. All resumes, cover letters, and CVs sold by Career-Change-Resumes.Com are created only by experienced resume writing professionals. 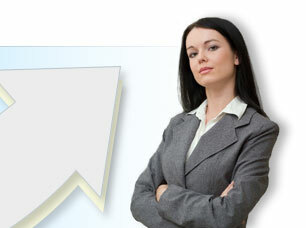 Our clients are GUARANTEED job interviews within 30 days. In the unlikely event that they are not interviewed, we'll revise their new resume at no additional charge.